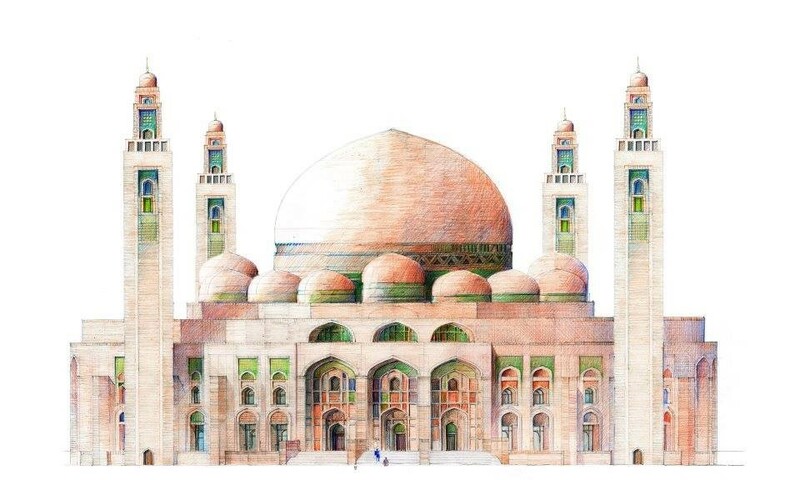 The Islamic architecture is one of the richest and most philosophical type of the structural design that is inspired from some great civilizations such as Turkish, Arabic, Persian and Central Asian. It incorporates their styles and reflect strong Islamic character. 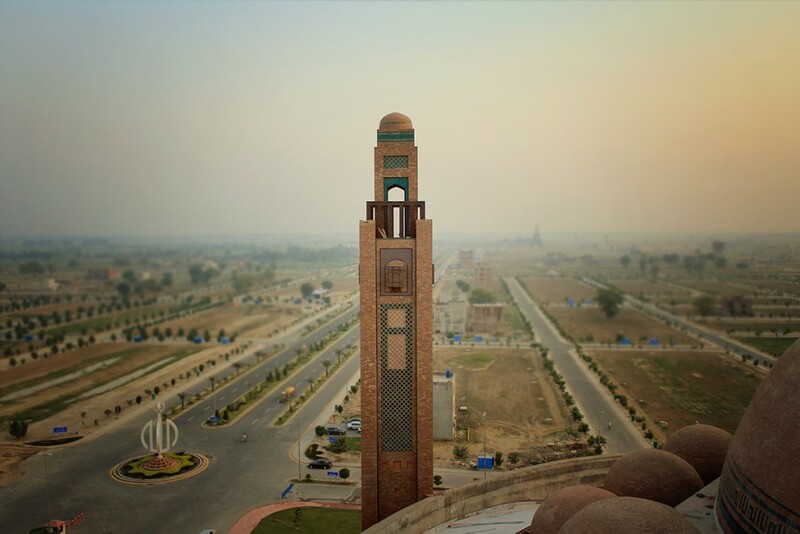 Bahria Town Lahore’s Grand Jamia Masjid is one fine testament of this architecture. 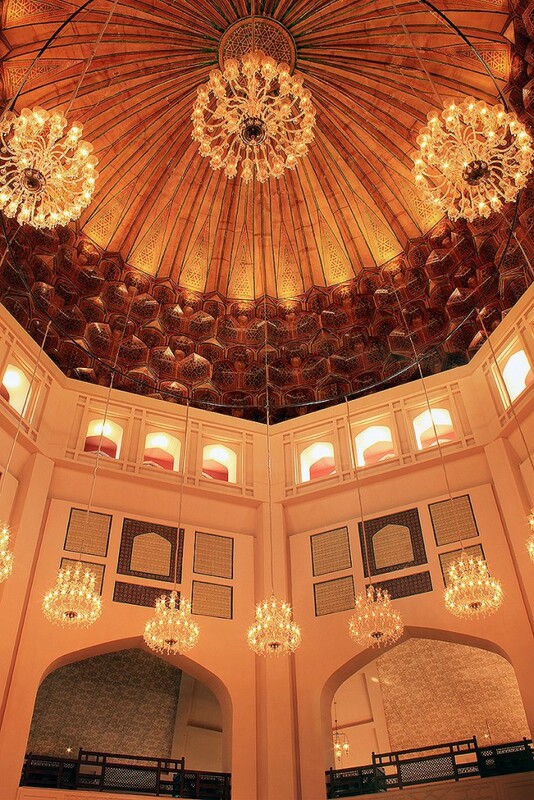 The beautiful mosque is a true epitome of Islamic spirit and contemporary elements, but the center of its inspiration is traditional Pakistani culture. 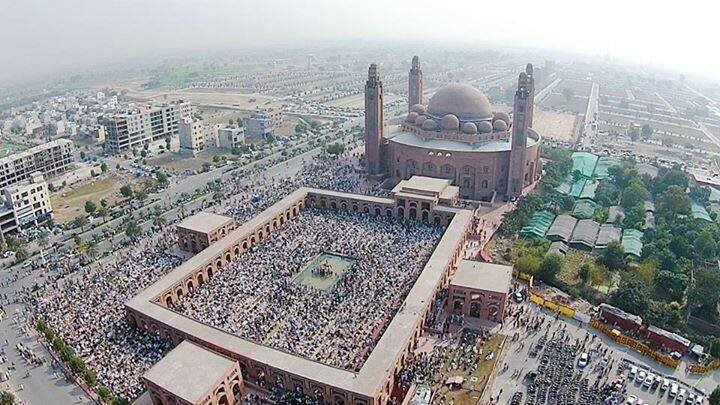 The seventh largest mosque in the world and third largest mosque in Pakistan has marked a new era of construction in the country. Designed by famous Nayyar Ali Dada & Associates. It was inaugurated two years ago on Eid-ul-Adha (October 6, 2014). The indoors of the mosque has a capacity to accommodate 25,000 worshipers, whilst the corridor and courtyard together accommodates 70,000 people. The cost incurred on the construction is estimated to be over 4 billion Pak rupees. 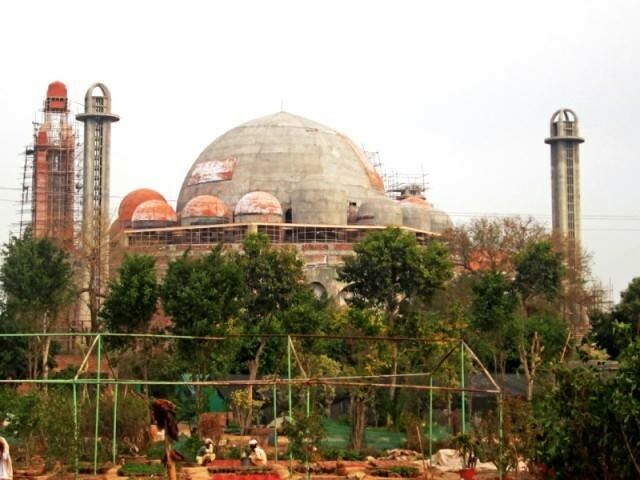 The magnificent edifice of the mosque comprises a Grand Dome, surrounded by 20 small domes and four minarets, each of which is 165 feet tall. While the base of the structure is raised 20 feet above the ground, the roof is elevated to 80 feet. The grand dome, elevated 40 feet above the ground and spread over 50 feet area, is the crown jewel of the masjid that spell-binds visitors instantly. The magnanimous mosque has 6 arched shape wooden doors, over 50 white Persian chandeliers, along with extraordinary wall frescos and tile-mosaic. The custom-made carpets in the mosque are imported all the way from Turkey. 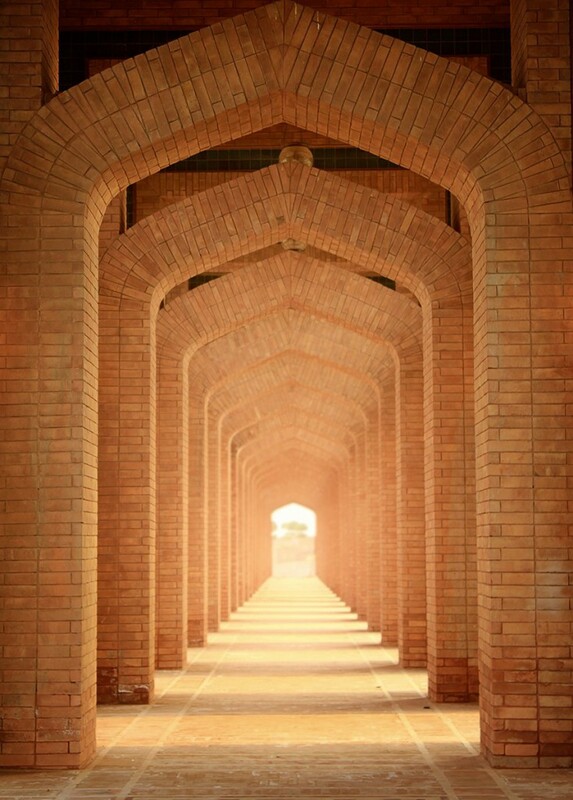 However, the most fascinating feature of the mosque is the exterior that comprises 4 million handmade Multani tiles – commonly known as Brick Gutka. These red bricks are craftily hand placed by the skilled workers and placing these tiles alone took labor 4 years. The octagonal shape of the minarets gives them a majestic appearance. 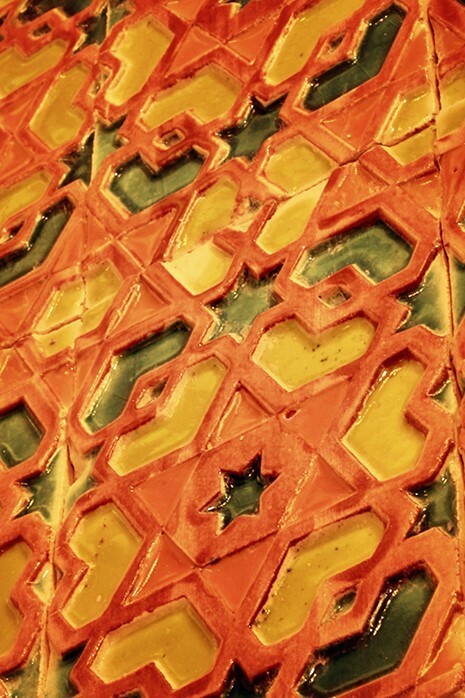 The base of each minar features 4 wooden doors that are brilliantly decorated with mosaic art exuding vibrant colors. You will also find wooden balconies in the minars, each made from ‘Sheesham’ wood. But the actual idea to build these soaring minars is to spread the call to ritual prayer (Azan) as far as possible and venerate the presence of the splendid masterpiece. The beautiful ‘Charbagh’ style courtyard of Grand Jami Masjid has an amazing landscape. 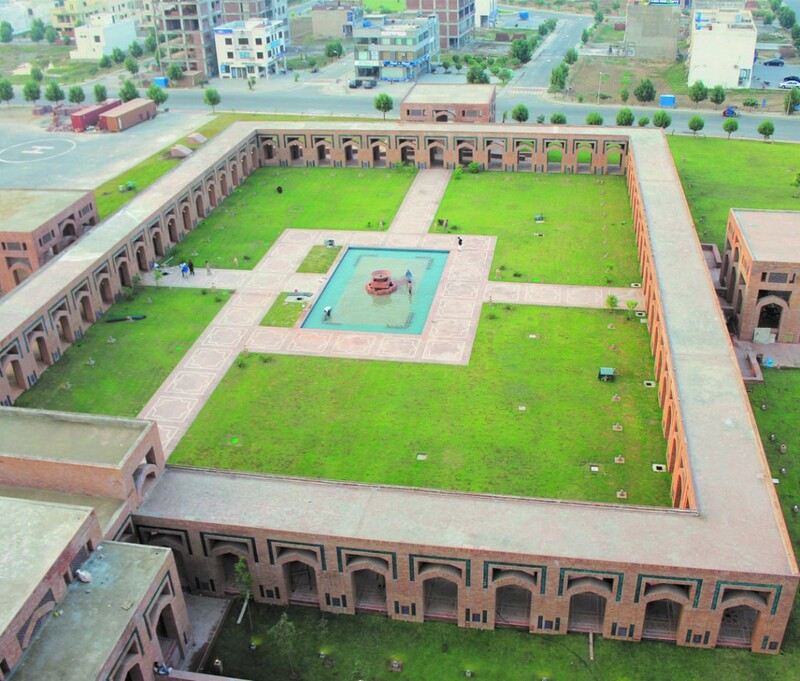 The leading architecture company in Pakistan has used Persian-style layout for the garden, a common sight in many mosques of the south-east Asia. The square shaped courtyard is segregated into four sections, through 4 walkways and a splendid fountain in the center. The garden is confined by corridors on all sides, constructed in arch shaped aisles and columns forming endless rows of arches to give a mystic effect. The extraordinary geometric forms, floral decoration and amalgamation of calligraphy together with extensive ‘Kashi Kari’ creates a feel like none other. Kashi-kari is an Iranian mosaic art that entails dissimilar patterns, geometric shapes and ceramic assortments on tiles. The Lahore architect has picked finest craftsmen from different cities of Punjab (Lahore, Hala and Multan) to do the tile work. 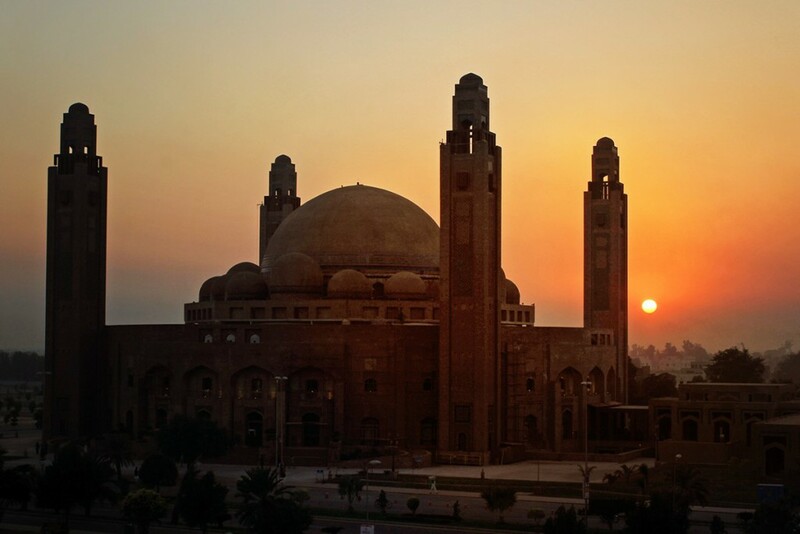 The colossal mosque also houses an Islamic academy and museum. The state-of-the-art academy is located in the basement of the mosque and offers religious courses and modern education. The museum can be found on the first floor of the masjid, where rare Quranic collections are put on display. 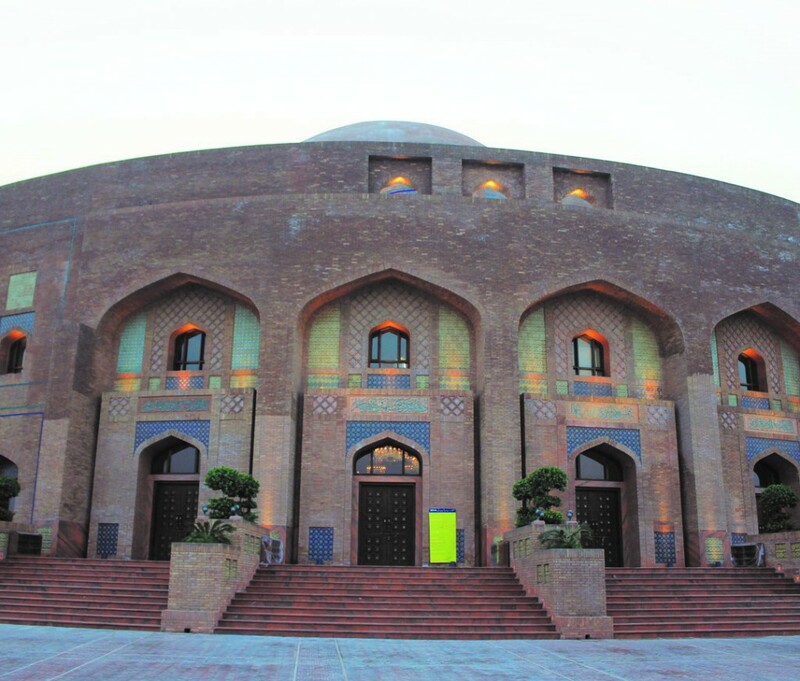 The center also has an Islamic library and Islamic art gallery, showing several interesting antique artifacts.